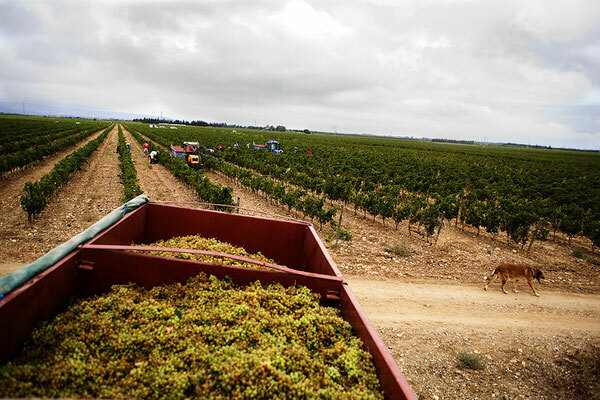 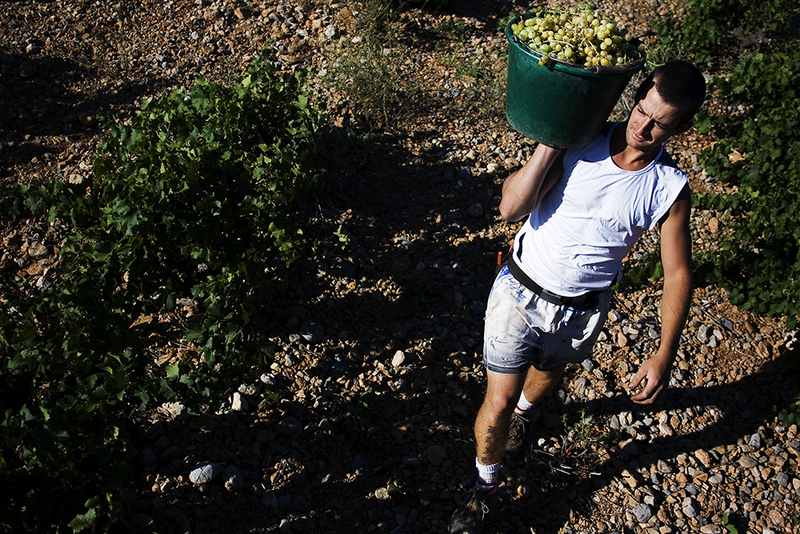 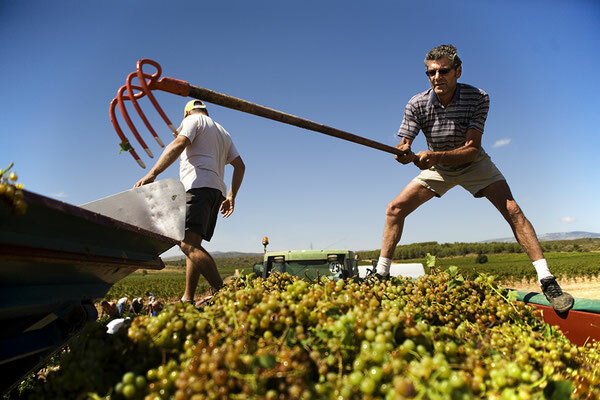 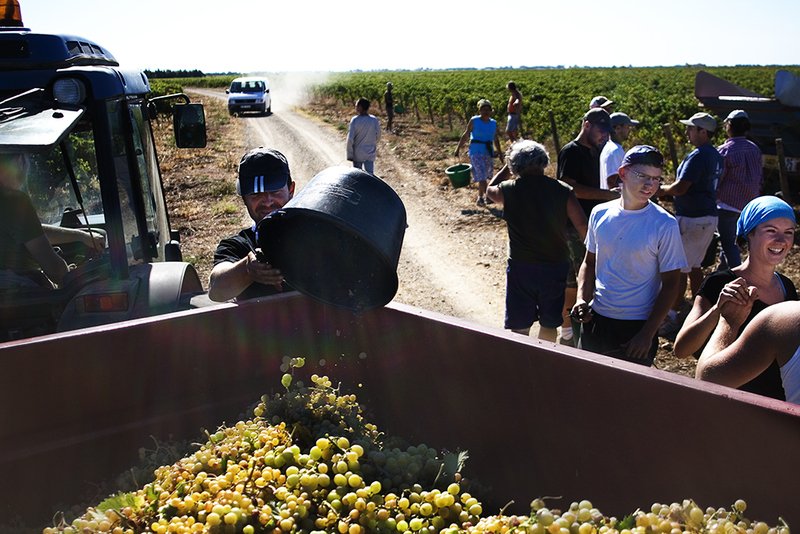 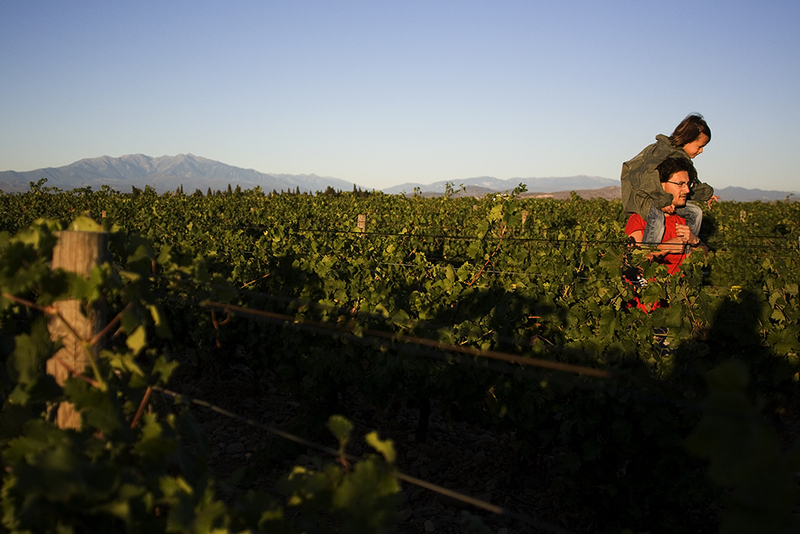 Every year between August and October, numerous harvesters work in the wine fields of CAZES. 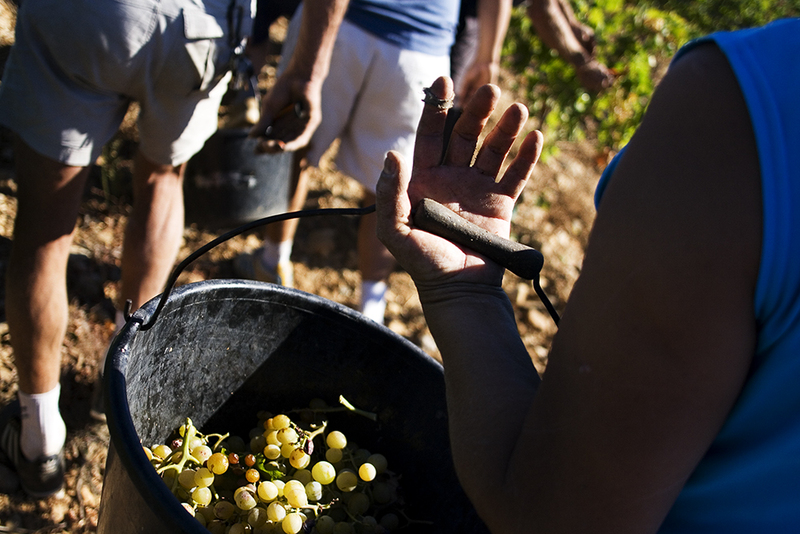 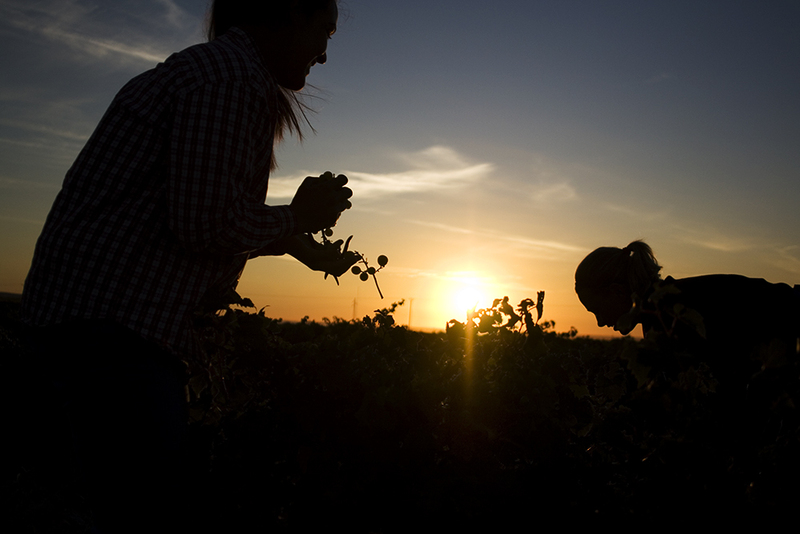 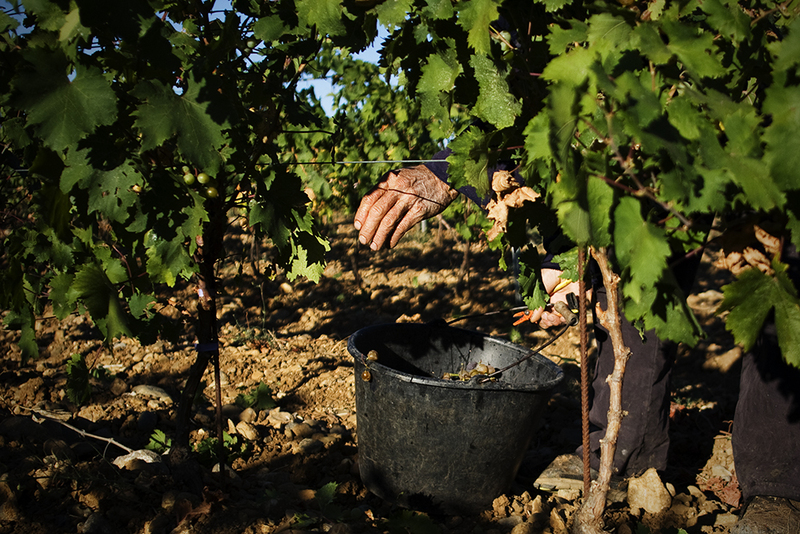 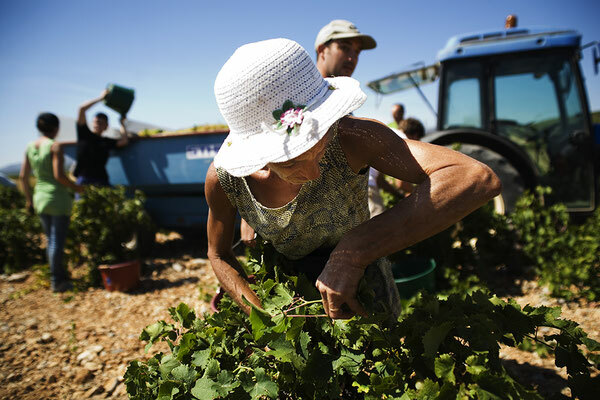 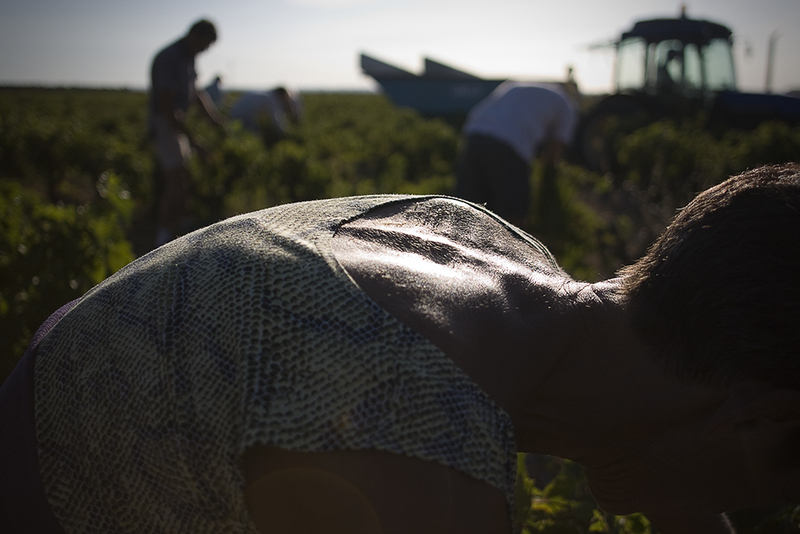 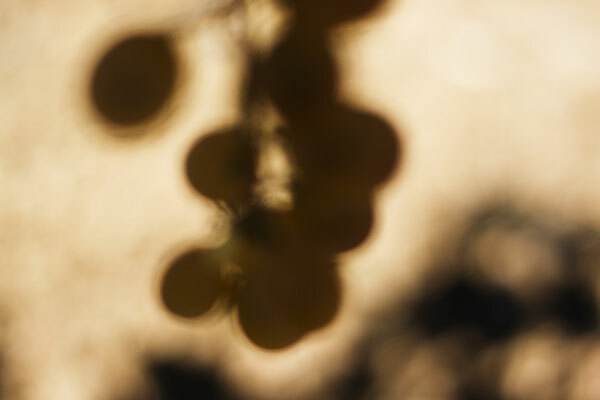 At the family business in the heart of the historic province of Roussillon, the precious grapes are harvested by hand. The body bent down to the dry and stony ground, one vine after another is plowed under the sun of the south of France. How long a person has already done this laborious work is individually readable by the curvature of the back and the sun-tanned skin of some field workers. 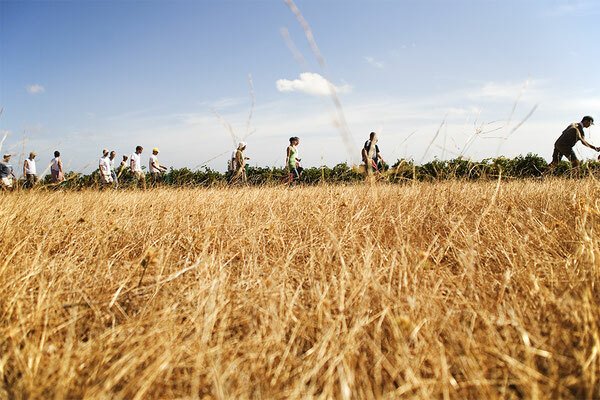 The size of the cultivation area is speculated. 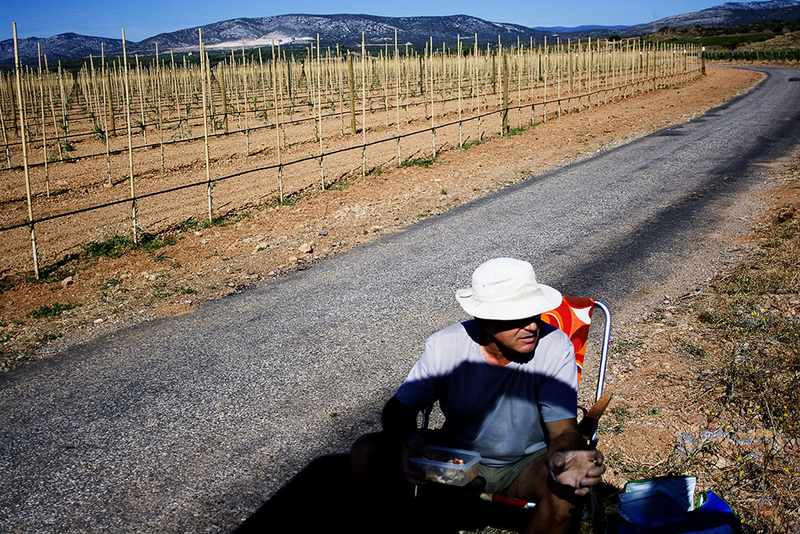 It includes the first vine behind the road, reaches as far as the eye can see and breaks at the foothills of the distant Pyrenees.